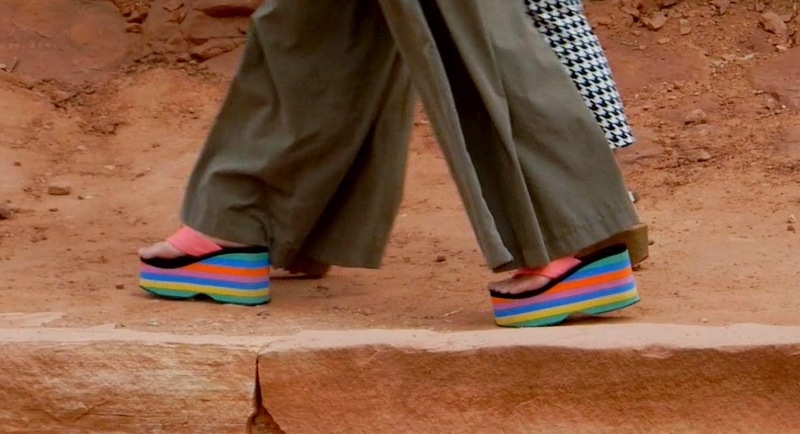 What do you get when you combine a Rock Lobster, an earthquake, a taco truck and the most ravishing scenic shots of Arches National Park? It's just another typical video from this Cheap$kate Traveler's Indian Summer Vacation Series, of course! 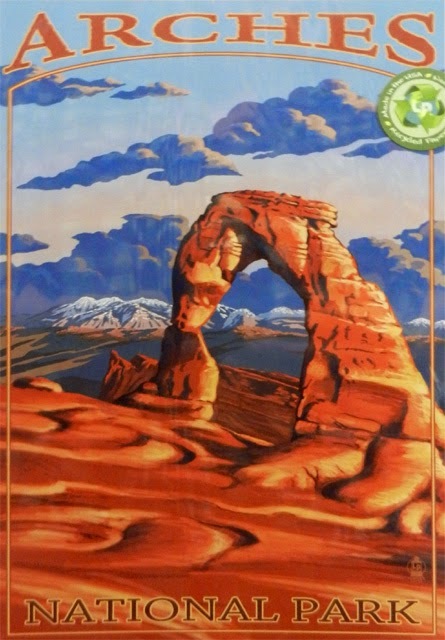 Located just 5 miles from Moab, Utah, and on the Colorado River, Arches National Park is a feast for the eyes. 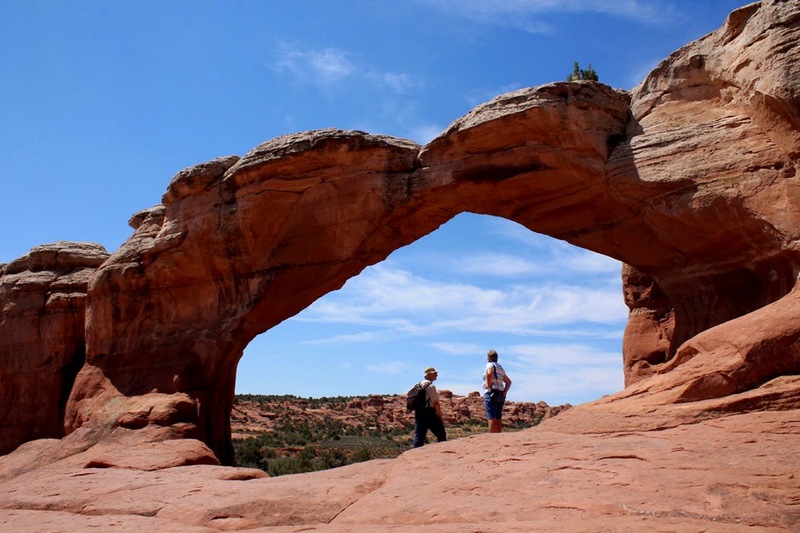 It covers 76,000 acres and contains more than 2000 natural sandstone Arches. The Arches were formed over millennia by rain and wind eroding red-hued sandstone into freestanding magnificent monuments. Arches come in all shapes and sizes. Some are only a couple stories tall, while for others you would need to be a mountain climber to reach the top. There is a Visitors Center at the entrance with camping info, brochures, etc. The park is well laid out, with an 18 mile paved road for easy access. 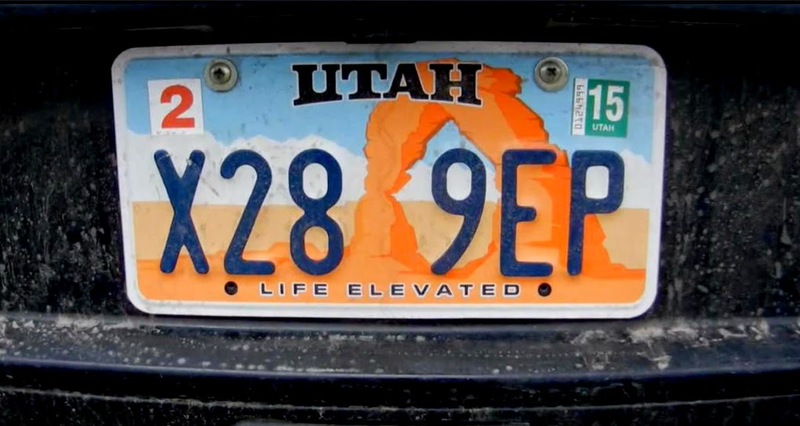 It costs $10 per car and the ticket is good for a week. 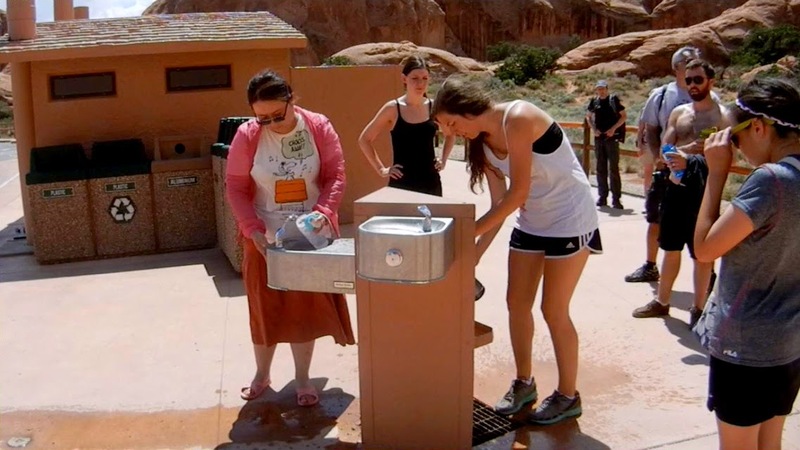 There are many scenic stops along the road, with parking slots - some rest stops have water fountains and restrooms. We stopped at one that even had picnic tables. 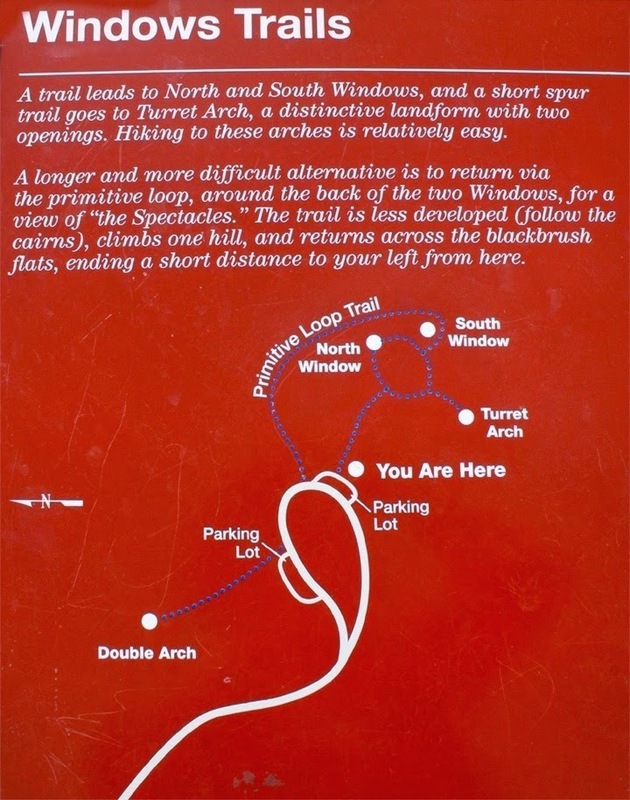 Make sure to get a map and do a little research, as there are many Arches to see. For some Arches you can just pull over and gawk and take photos. While others, you will walk well laid out and traveled trails. All the rest stops have a clearly made trail map plaque and info about the Arches along the paths. My wife and I spent 2 days there and barely scratched the surface. We camped in nearby Moab, Utah (click here to see my Camping Video.) The early morning and late afternoon are comfortable times to hike and sightsee. The sun can be brutal, so bring sunscreen and a hat. Even in May, the midday temperature was in the 90's. I wore sandals, but would cover my feet better next time, as I stubbed my toe and almost ruined a day. Also, bring something to snack on and have a couple of water bottles for refilling along the way. A lot the the Arches can be seen from the main road and are a short hike away. One of the most famous is the 65 foot tall Delicate Arch. You can take a short hike to see it from a distance - which we did. But to see it up close you must walk 3 miles from the rest stop, which takes 2 to 3 hours to get there. Next time I would take the time to hike it. 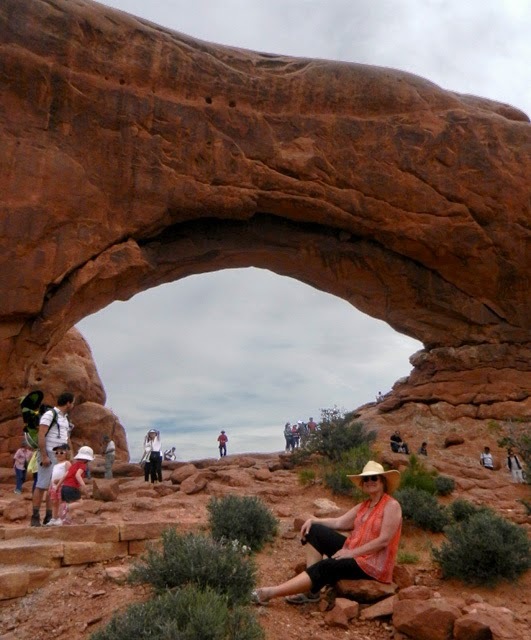 I could easily spend a couple weeks hiking and taking photos/video in Arches National Park. And maybe even try to camp in the park itself, although the sites fill up way in advance - click here to read about that. But there are plenty of Arches with easy access. 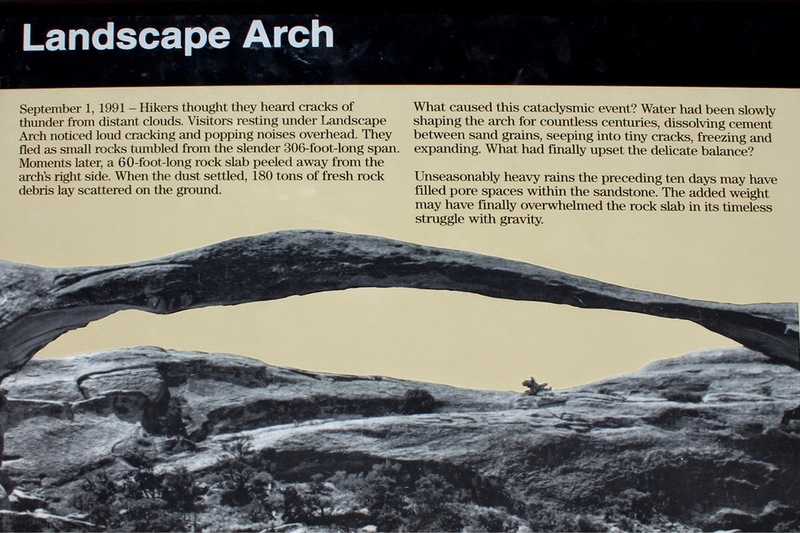 A most memorable one was Landscape Arch. The hike to get there was about a mile from the rest stop. 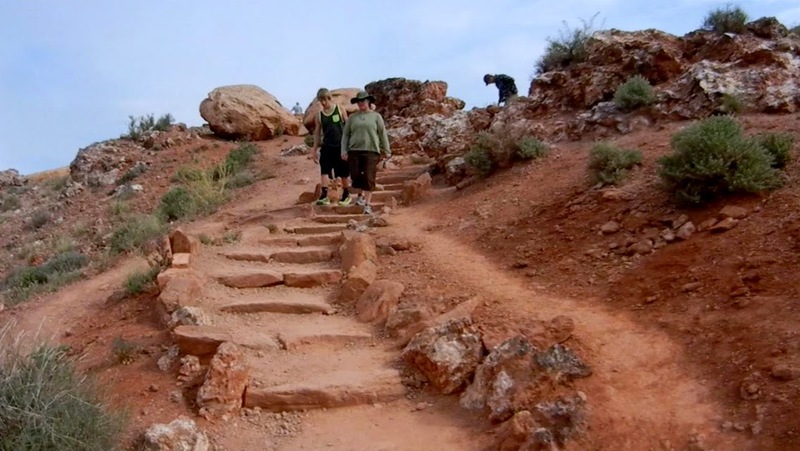 The trail was easy to walk, with many scenic rock formations and native plants along the way. It's a well traveled trail and our fellow hikers were considerate and pleasant enough. 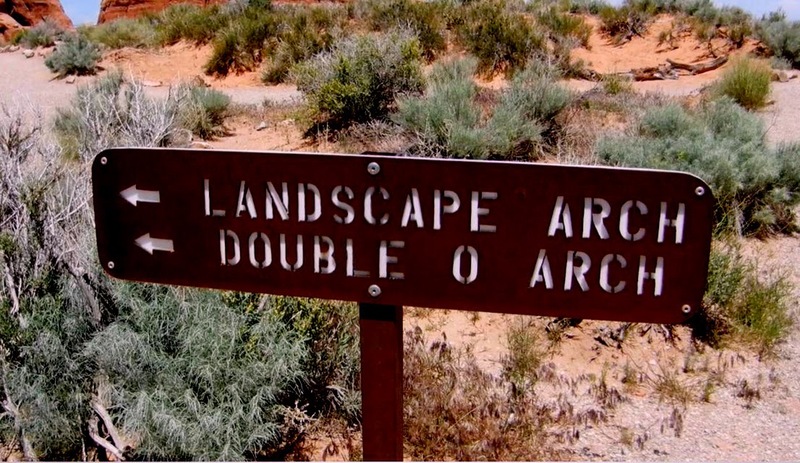 Landscape Arch is said to be the worlds longest at about 291 feet across. It looks like a man-made bridge. 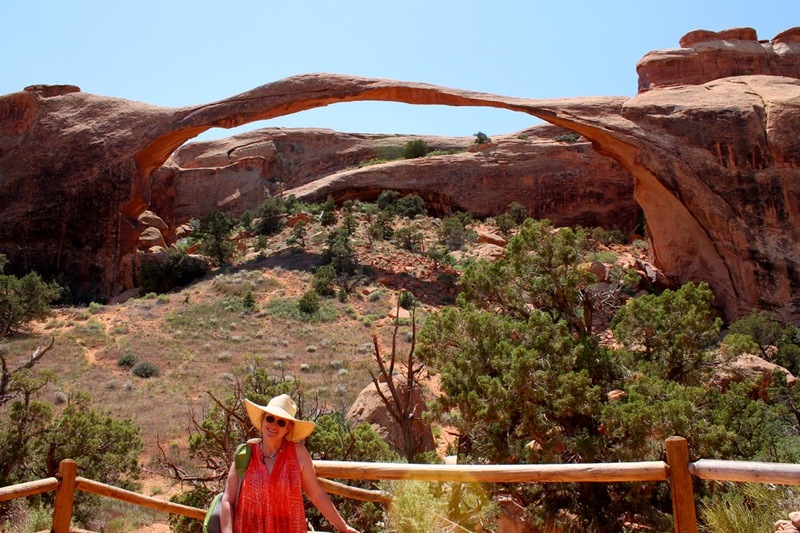 The Arch is a few hundred feet off the trail so you can't stand under it, but you get close enough to be awed by it's unique structure and beauty. Of course, I had to do a wacky video scene there involving a fictitious Taco Truck. 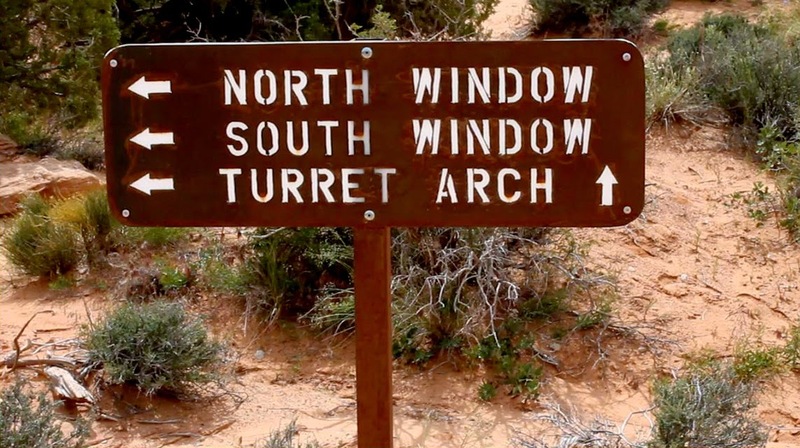 The most bang for the buck is North and South Window and Turret Arches. 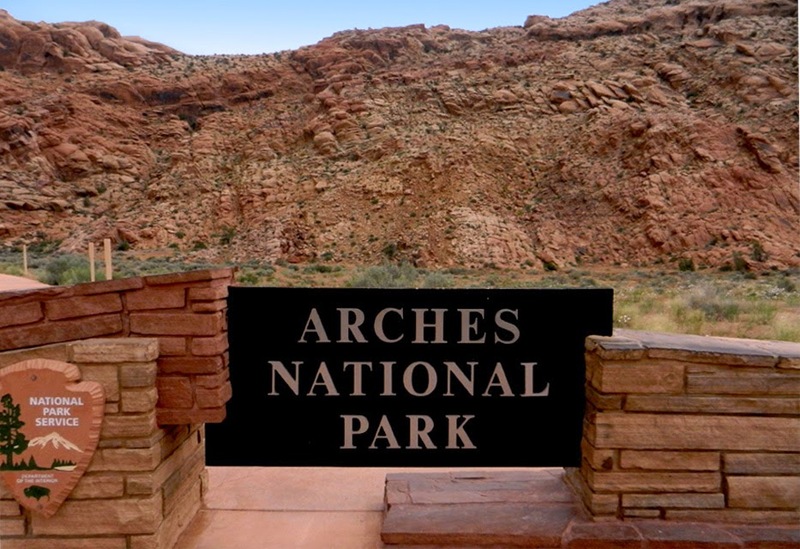 You get 3 magnificent Arch views that are a short walk from the road. There are stone steps that lead the way. And you can walk right up to, and inside, each Arch. Truly awe-inspiring. 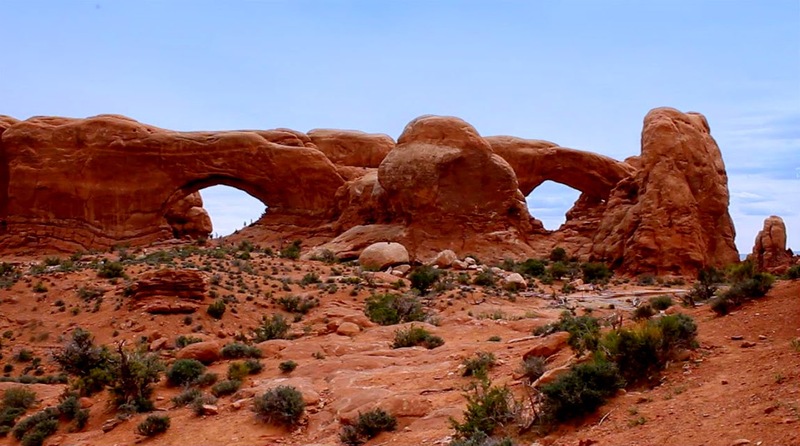 (Click here to see a cool 360 degree interactive panorama shot of all 3 Arches. 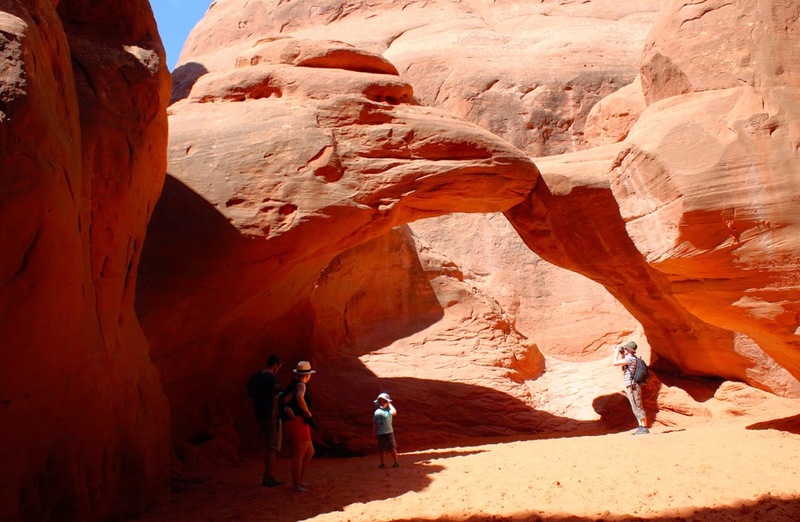 A fun short trek is to Sand Dune Arch. 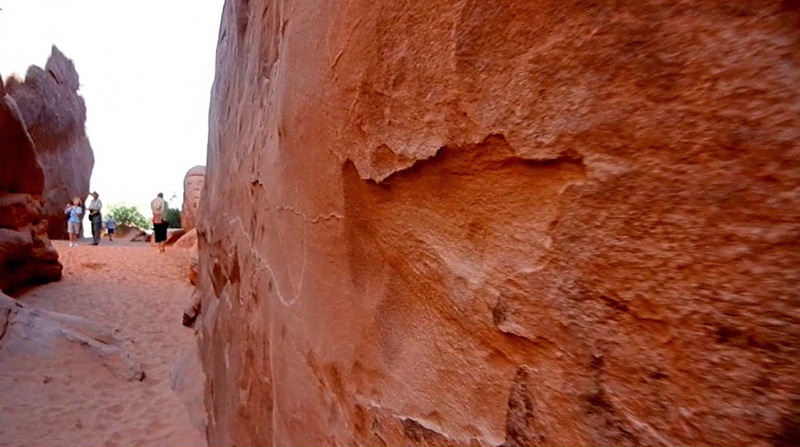 It was like walking on an ocre-hued sandy beach, with giant red walls of sandstone framing the trail. You'll want to take your shoes off when you arrive at the Aches, the sand is so soft and fine to the touch. There are many other rock formations to check out. 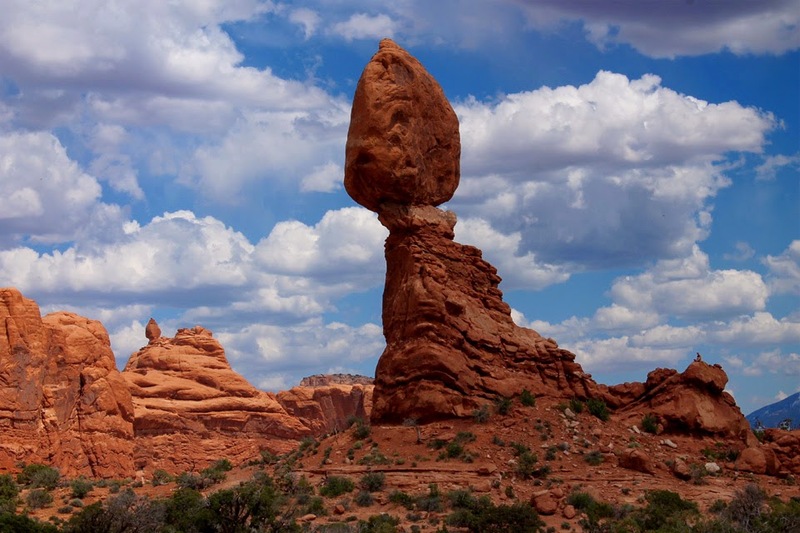 I especially liked Balanced Rock. Again, it's right off the main drag. The boulder on top is the size of 3 school buses. You get a little queasy and nervous just standing near. Go ahead and walk right up and touch it. Well I did - with disastrous results! Be sure to watch my video all the way to the end to see what I mean. Well I'm on the homestretch of this Indian Summer Vacation Series. Only a couple more blog posts to go, then it's back to recipes and food reviews. Thanks for hanging out with me so far, and check out my video below -- it's classic 99 Cent Chef in action. Special 99 thanks to the caretakers of Arches National Park and my wife, Amy, for arranging the tour and recording The Chef's outrageous antics. Play it here, video runs 5 minutes, 38 seconds. My Rock Lobster joke/reference in the video above is based on The B-52s fantastic music single released in 1978. Here's a link to that New Wave hit video. Awesome place. Reminds me of Garden of the Gods In CO. Fanciful I know (sort of like that taco truck on the bridge arch) but those sandstone arches look like fossilized dinosaurs to me. LOL. we drove through there back in the early 90s when our kids were little. No rest rooms, or trails, it was primitive. Love the improvements! Love to read this blog. I have search it on google where i found it on here at this blog..